By Dan Crary. Guitar. Flatpicking, Folk. Softcover with CD. With guitar tablature. 112 pages. Published by Centerstream Publications (HL.231). ISBN 1574240587. 9x12 inches. Dan Crary. Dan Crary is one of the top flatpickers in the United States. 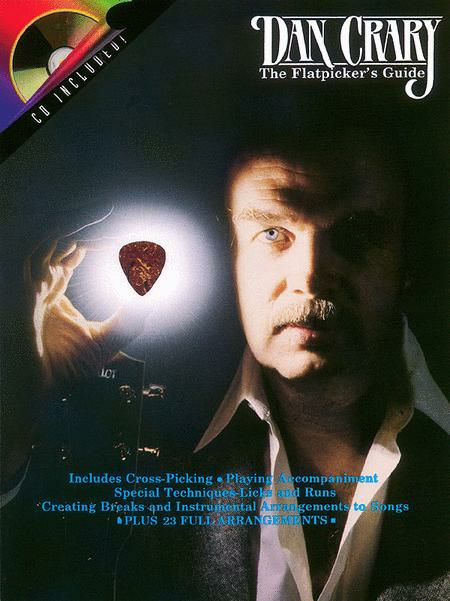 His book teaches how to play accompaniments, cross-pick, play lick strums, and lots more, and the examples in the book are explained on the accompanying CD by Crary himself. The CD also allows guitarists to play along with the songs in the book. I bought this book, and quickly learned advanced bluegrass/flatpicking...Made me want to continue to practice b/c it was so easy to learn what sounded impossible to play ! !